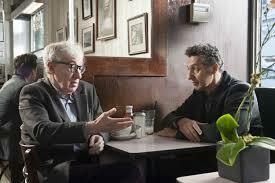 Turturro is charming and well meaning, which must have brought these actors on board, but the film reeks of a false “New York” ambience. The attempt to create a colorful cast of kooks is second rate compared to the terrific low budget New York movies made by a new generation of young filmmakers and the so-called ‘mumblecorps’ crew. (or Hal Hartley’s terrific no-budget film, Meanwhile). And despite the caveat in the script that, though Turturo’s's ‘character’ is not-so-good looking, he is still able to charm and pleasure the ladies, the fact is never demonstrated. Not that I want hot action, but some emotion or word from the ladies other than lip service and dewy eyes would help. This is a sadly pretentious art film.